CBD Oil for Lupus: Is it Safe? Effective? Legal? CBD oil, which is derived from marijuana, has become a trend when it comes to treating diseases involving pain and inflammation. But is it effective for lupus? So far, we don't have research on CBD oil specifically for this disease, but a growing body of research suggests that it may help treat several aspects of it. Because medical marijuana is still fairly controversial, and the laws are confusing, there's a lot of confusion and misinformation out there about CBD. That can make people hesitant to try it. Good news there, though--a new law is simplifying the matter for many of us. CBD is short for "cannabidiol." While it comes from cannabis, it doesn't get you high because it doesn't have psychoactive properties. The high comes from a different chemical in the plant called THC (tetrahydrocannabinol). Marijuana growers focus on strains and techniques that increase THC levels. Cannabis that's grown for hemp tends to have a lot more CBD than THC. If you look online, you can find a lot of huge claims about using CBD oil for medicinal purposes. Claims are so glowing, in fact, that you might start to wonder if they can possibly be true. Certainly, when they come from websites that promote marijuana legalization and use, you may be wise to question the veracity. It's too early in the research process for us to be able to say "yes" about many of the claims. However, we're learning enough to be able to say "it's possible," or even, "we think so." CBD oil is used to treat a host of different conditions, although it's not approved for any of these conditions, as of mid-2018. 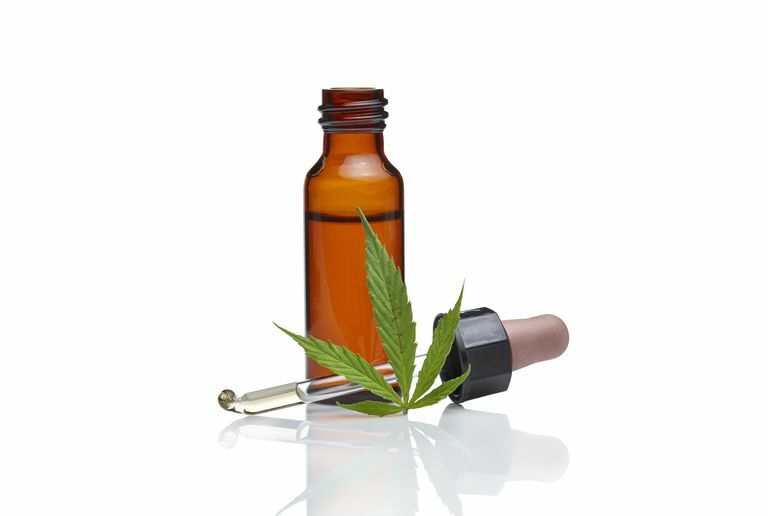 When it comes to taking CBD oil, you have a lot of options: smoking, taking capsules, drops or sprays under the tongue, and as a topical ointment. Research in the United States is in the early stages, though, since for decades, legal restrictions made it extremely difficult to study the medical benefits of marijuana. With a lack of research on CBD oil for lupus, we have to go on what we know about CBD in general and what we can understand from research into conditions with similar symptoms or pathology. This potential treatment is likely to get attention from lupus researchers eventually, though, for several reasons. Lupus contributes to an epidemic of pain, including untreated and undertreated pain. Current treatments are far from perfect, so drug companies have a sizable financial incentive to find more effective medications. The opioid addiction/overdose epidemic is a huge problem for society that puts a lot of strain on the resources of the medical community as well as law enforcement. Meanwhile, several studies have shown that when marijuana becomes legal in a state, the number of opioid prescriptions—and overdose deaths—drops. That's bound to get the attention of doctors, who want to protect their patients, law enforcement agencies battling the problem, and lawmakers seeking solutions. A wealth of research suggests that CBD oil is effective against pain and inflammation. In its pure form, it's generally regarded as safe, as well. Lupus involves considerable inflammation. We have abundant anecdotal evidence from people with lupus who say it's effective. That can't substitute for scientific proof, but it's one more thing that gets doctors interested. Additionally, a 2018 study published in Cellular Immunology found that CBD may alter T-cell activity after spinal cord injury. Abnormal activity of T-cells (which are part of the immune system) are believed to be involved in lupus. Lupus can include pain from neuropathy (nerve damage), and multiple studies suggest that CBD can alleviate that type of pain from diabetes, HIV, and other sources. CBD doesn't appear to lead to addiction or abuse. It's also believed to have a low toxicity level, which means it takes a lot to cause an overdose. You'd think the question of whether CBD is legal would get a straightforward, yes or no answer, but the legality issue can be confusing. A lot of pro-marijuana websites have long claimed that it's legal in all 50 states as long as it doesn't have more than 0.3 percent THC. They based that argument on the provisions of a specific farm bill. But in 2018, the 9th Circuit Court of Appeals ruled that the old bill didn't apply to hemp or products derived from it. The 2018 Farm Bill changes all that, though. It passed through the U.S. Senate in June of 2018 and the House in December of 2018, and it's expected to be signed into law soon. It makes hemp a legal agricultural product, which makes CBD legal at the federal level. In states where marijuana and/or hemp were already legalized, that removes the threat of the feds coming in and pressing charges. But what about the states that have passed laws specifically banning hemp products? Technically, federal law trumps state law. In reality, though, your state may continue to press charges against people violating its law, especially if the goal is to challenge the new federal law. To protect yourself, it may be wise to get legal counsel before jumping onto the CBD bandwagon. In states where CBD is illegal, people have been arrested, tried, and convicted on drug charges for possessing it. It pays to know before you buy what the laws in your state are. The website ProCon.org has information about which states have laws specific to CBD oil. Treatment decisions should never be taken lightly, and that applies to "natural" treatments like CBD as well—especially when you take the law into account. Consider the pros and con carefully, and be sure to discuss this option with your doctor. Even if you're taking it illegally, your doctor needs to know—your health could depend on it. As with any treatment, it's important to watch for side effects. With legal changes in store and lots of research coming out, we can probably expect a lot of change, and quickly, when it comes to CBD oil. Burstein SH, Zurier RB.Cannabinoids, endocannabinoids, and related analogs in inflammation.The AAPS Journal. 2009 Mar;11(1):109-19. doi: 10.1208/s12248-009-9084-5. Gruden G, Barutta F, Kunos G, Pacher P. Role of the endocannabinoid system in diabetes and diabetic complications.British journal of pharmacology. 2016 Apr;173(7):1116-27. doi: 10.1111/bph.13226. Li H, Kong W, Chambers CR, et al.The non-psychoactive phytocannabinoid cannabidiol (CBD) attenuates pro-inflammatory mediators, T cell infitration, and thermal sensitivity following spinal cord injury in mice.Cellular immunology. 2018 Jul;329:1-9. doi: 10.1016/j.cellimm.2018.02.016. Murnion B. Medicinal cannabis.Australian prescriber. 2015 Dec;38(6):212-5. Piomelli D, Weiss S, Boyd G, Pacula RL, Cooper Z.Cannabis and the opioid crisis.Cannabis and cannabinoid research. 2018 Apr 1;3(1):108-116. doi: 10.1089/can.2018.29011.rtl. eCollection 2018. Could Breast Implants Cause Lupus?